We have a responsibility to each other and to our communities to serve others. In 2016 we launched Cox Cares to serve as the cornerstone of our Corporate Social Responsibility (CSR) program in Canada. 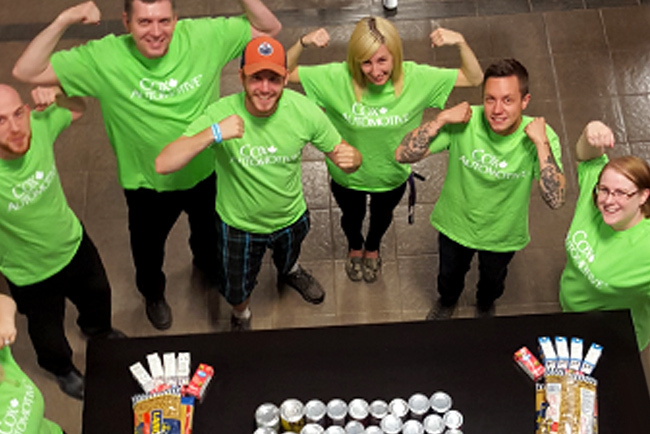 After the devastating Alberta wildfires in May 2016, Cox Automotive Canada, along with six business units, quickly mobilized to support families in Fort McMurray, Alberta. The teams quickly rallied to support those affected by the tragedy with a $30,000 donation to the Canadian Red Cross. Throughout the two months following, employees across the seven Manheim locations held a national clothing drive, collecting eight skids of clothing which were donated to the Edmonton Emergency Relief Services Society. The National Drive Away Hunger food drive initiative focused on supporting those that do not have enough to eat in local communities. 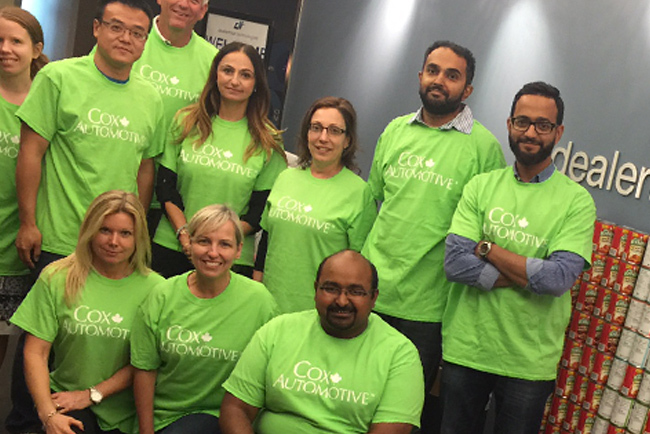 From June 13 – 23, 2016, Cox Automotive Canada teams collected the items identified as most in need by and together, employees across all business units donated more than 1,400 kg (3,200 lb) of non-perishable food items to local food banks across Canada.